For Trump, who previously called climate change "a hoax" and closely followed the advice of Steve Bannon, the headmaster tasked to preserve his populist appeal since the campaign trail, the decision is simply meant to realize a campaign pledge. Donald Trump’s election as U.S. president on the basis of a developmentalist, populist, xenophobic and isolationist political platform under the heavy influence of the military-industrial complex has already given early warning signs of a radical transformation in the global role of the U.S. in the world order. We are beginning to see its concrete manifestations. Following two overtly liberal, but performance-wise disappointing terms under Barack Obama, during which the U.S. tried to act a global play-making role in a plethora of critical issues, such as the Middle East peace process, the Iranian nuclear issue, trade liberalization through the Transatlantic Trade and Investment Partnership (TTIP) and Trans-Pacific Partnership (TPP), and the Paris Climate Accord. The American establishment seems content with turning into a much more pragmatic, isolationist stance under Trump. The completion of economic recovery during the Obama years (after the global financial crisis) and the rise of the perceived challenge from China in the Asia-Pacific are among the chief reasons triggering this paradigmatic change. The new policy line, perfectly represented by the blunt “can-do” approach of President Trump, is associated with a predisposition to prioritize American national interests (defined in line with energy, manufacturing industry and defense sectors) on any global issue, “not bothering” to shape global alliances or public opinions around it. Put differently, the U.S. is engaged in a more aggressive effort at international competitiveness in the face of rising emerging economies led by China, and the U.S. does not want to carry the financial and moral burdens of providing global public goods any more. 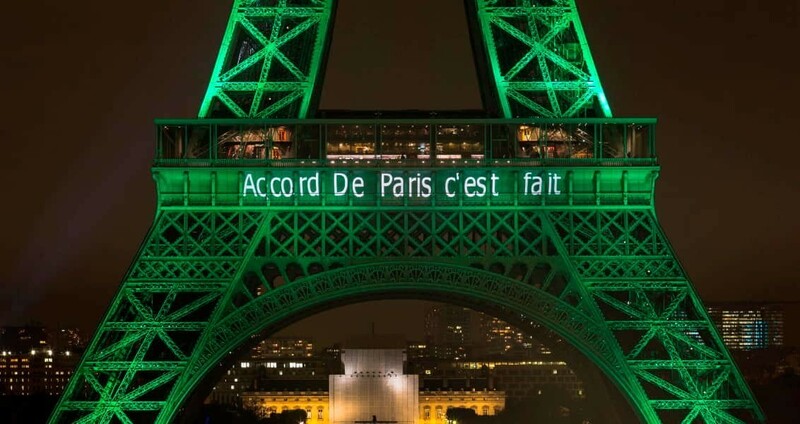 In this context, following weeks of anticipation, it was hardly surprising to receive the news that the U.S. has formally pulled out of the 2015 Paris Accords, a landmark global pact designed to fight the impact of climate change. The U.S., under Obama, played a key role in conjuring up the deal aimed at reducing carbon emissions across the globe and promising to reduce its 2005 emissions by 26-28 percent by 2025. As the largest polluter and producer of carbon emissions in the world, the U.S. pledge would account for more than 20 percent of expected emission cuts. Therefore, the withdrawal of the U.S. from a landmark agreement initiated by its own will and signed by 190 countries (except Syria and Nicaragua) towards a common aspiration of mankind for a low-carbon future generated widespread frustration. As far as leading global efforts to fight climate change is concerned, this frustration immediately resonated with the failure of the U.S. to support the Kyoto Protocol in the 1990s, which let to its eventual collapse. Yet, the global conjunctures underlying the world order then and now are totally different. The U.S. does not enjoy the free hand it had in global politics after the collapse of the Soviet Union in the framework of unipolarity. Today’s multipolar global structure necessitates far better policy coordination and inclusive governance, exemplified by participatory platforms such as the G20. As a businessmen-turned-politician, Trump is under the hefty influence of conventional economic lobbies in energy, manufacturing and defense, concentrating on fossil fuels, and claims to defend American jobs by preventing cost increases (claimed to be around $4 trillion) due to climate change considerations. Yet, as the world heads towards a digital revolution, knowledge economy and clean industries, his reactions sound unwarranted and anachronistic. Unsurprisingly, the first strong criticisms of Trump’s decision to withdraw from the deal came from Tesla CEO Elon Musk and Microsoft President Brad Smith, leaders of two flagship companies in the new economy. For Trump, who previously called climate change “a hoax” and closely followed the advice of Steve Bannon, the headmaster tasked to preserve his populist appeal since the campaign trail, the decision is simply meant to realize a campaign pledge. But for the global image of the U.S. and the future of the world order, it means that the American endeavor to establish global norms and regimes aimed at providing predictability in different policy areas is falling to pieces. As for China, the decision of the U.S. to resort to protectionism in trade and indifference to climate change might form new windows of opportunity to crystallize its new position as a leading global power in partnership with the European Union and India. Beijing might adopt the posture of a benign global power in the coming years, and climate change might be one of the key areas in which it could progress swiftly.